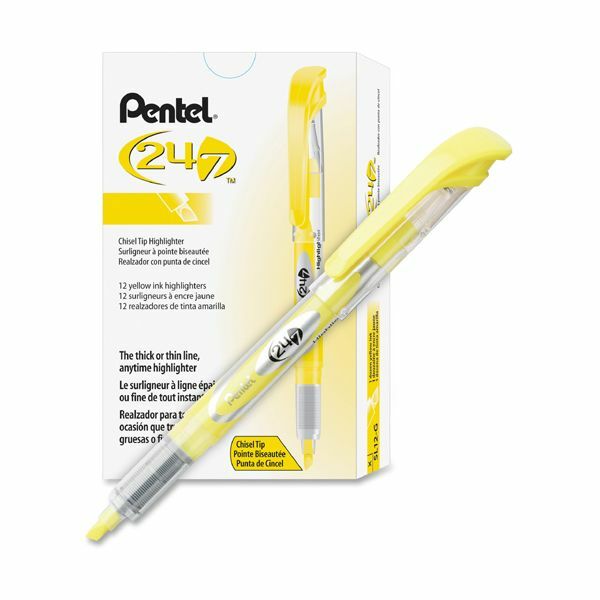 Note: A minimum quantity of 25 must be ordered, and in units of 1 thereafter. 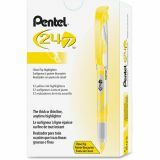 Pentel 24/7 Highlighter, Chisel Tip, Bright Yellow Ink, Dozen - Multipurpose highlighter delivers a free-flowing ink for smooth, even coverage. Chisel tip highlights thick or thin lines. Vivid ink won't bleed through most papers. 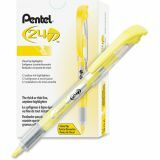 Works on faxes, photocopies, computer printouts and more. 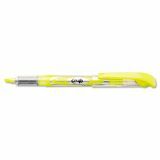 Perfect for highlighting, underlining and color-coding. Certified AP nontoxic by ACMI.